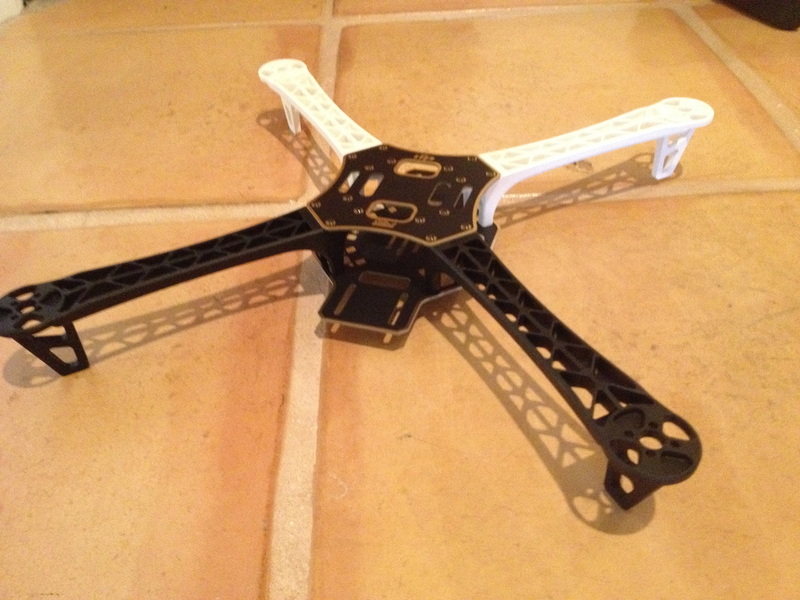 For this quad build I chose the DJI F450 frame - made by DJI Innovations. There were several reasons I chose this particular frame over other more affordable options. First of all, the frame is entirely made out of composite material. So in a hard crash or rough landing, there won't be any wooden arms to break or repair. 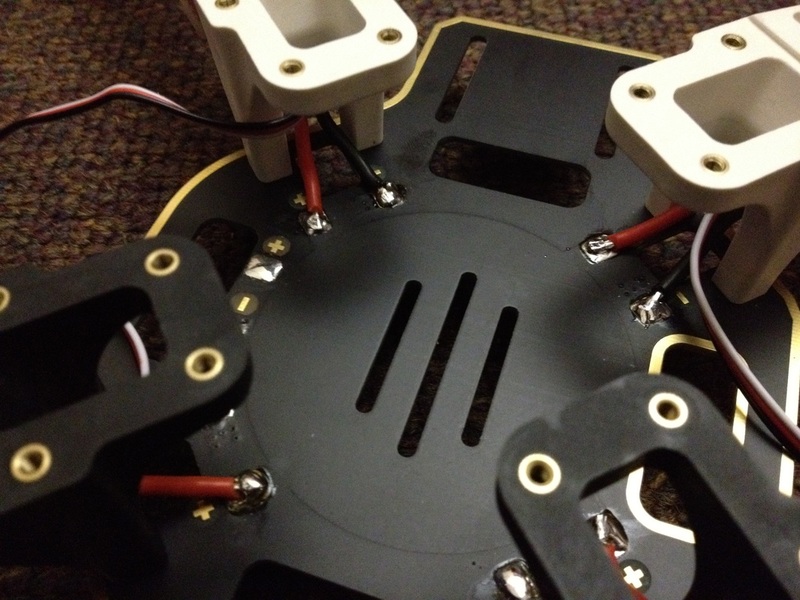 Second of all, the bottom plate of this frame has a built on high-current power distribution board. This meant that I wouldn't need to solder my own power distribution spider or purchase a distribution board separately. Lastly, this frame is composed of only 6 pieces - the 4 arms, the top plate and the bottom plate. Because of this, the entire frame is exceedingly simple to put together and is quite easy to take apart for transportation. I purchased my frame from a seller on RCGroups for $70, however the frame can be bought from other distributors like GoodLuckBuy or CNC Helicopter.